Built by Andrea Tirali in 1688 and restored in 1794. 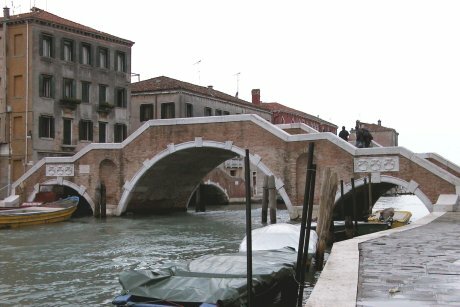 Its most characteristic feature is an unusual triple arch, which is unique in Venice. Tirali maintained the older design as it appears in the prospective plan by De Barbari (1500).